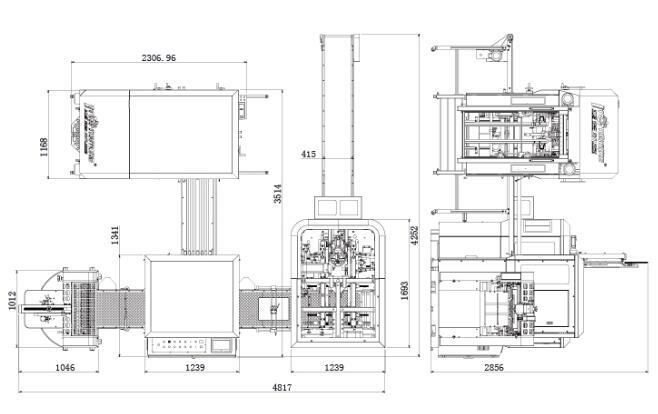 HM-ZD350A Automatic Rigid Box Machine, is the one of the most advanced fully auto box machines by our company. 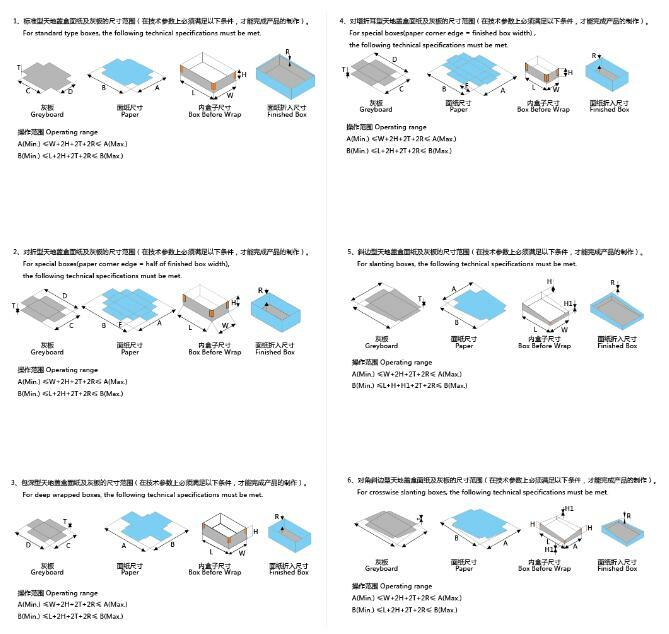 It is suitable to make various types of rigid boxes for mass production, such as jewelry boxes, mobilephone boxes, gift boxes, cosmetic boxes, watch boxes, slanting boxes,etc. The minimum size for wrapped box is 45x35x10mm, and maximum Length 350mm, maximum width 250mm which covers a larger range compared to the previous machines and meets better the market. And it is upgraded also by its exterior with more safety and beauty. HM-ZD350A adopts PLC and man-machine control, camera tracing system, and can automatically feed coverpaper, feed greyboard, paste four corners, spot greyboard, lift box, wrap box, fold corner edges and form box. The feeder, the gluer and the conveyor are driven by servo which has continuously variable transmission and enjoys high accuracy, easy adjusting, and less time consumption. Double color conveyor can avoid changing to other color belt, which is Hongming’s patent. The spot unit adopts Germany camera with 5 million pixel and robot arm to pick and spot the greyboard, enhancing the spotting accuracy to ±0.05mm. The forming unit employs Germany REXROTH linear slider and virtual cam driving system, guaranteeing the stable quality and fluent movement and enlarge the folding-in depth and corner edges.